A solar water pump inverter works to efficiently convert the DC current produced from solar panel into AC current that drives water pumps. For any solar water pumping system to work efficiently and effectively, a quality solar water pump inverter is one of the most needful devices. 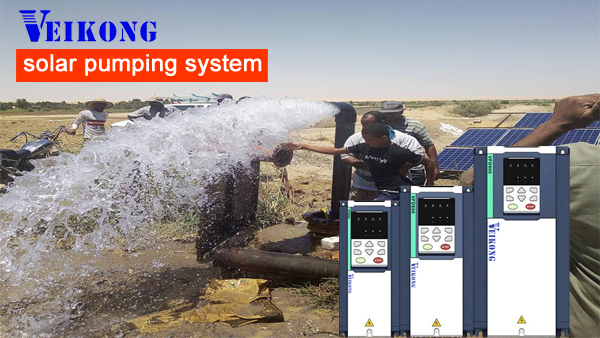 Utilising solar power to the full and being compatible with the pumping system whereby enhancing the out of the pump and delivering durability and energy efficiency are few traits that make a solar water pump inverter worth investing for. Solar Water Pump Inverter – Integrated with Advanced Technology Shenzhen Veikong Electric CO.Ltd. manufacture and worldwide supplier high-end solar water pump inverters that are specially designed, integrated with MPPT, VFD and CVT technology. The company develops international standard inverters that are suitable to be used with almost all types of solar pumping systems and works well with both submersible and surface mount pumps. What makes these inverters highly convenient to use is remote monitoring, enabled with GPRS remote monitoring system. Amongst a range of features include adjustable output frequency in line with irradiation intensity, built-in MPPT (maximum power point tracking) function that helps to improve the working efficiency of the pumps. Easy to install and use, the inverters have advanced protective features and come with asynchronous and synchronous motors. Available to be bought at cost-effective prices with global delivery assistance. Yes, I would like to receive future communications (such as email) from Veikong extended enterprise anddealer network.